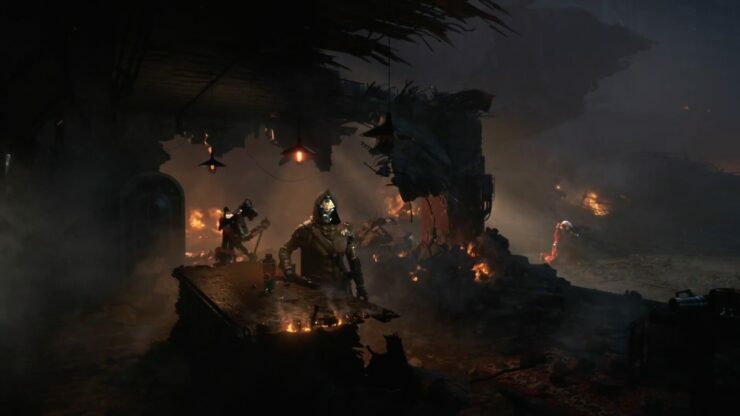 Destiny 2, the new entry in the series developed by Bungie, will mark the PC debut of the franchise, but it’s still not known if the game will launch on Steam and Origin or if it will require a new launcher from Activision. A report from last month suggested that the game will release on Steam, but a new rumor that has started circulating online a few minutes ago says otherwise. In a Reddit post that has since been removed, a user named destinyLeaker revealed that Destiny 2 will launch on Battle.net and not on Steam and Origin. As the reveal trailer didn’t feature the Steam logo anywhere, this is a definite possibility. The leaker also revealed some additional information on the game’s max level, weapons, a new PvP mode that should be announced today and more. Destiny 2 will launch on Battle.net – not Steam and not Origin. Max level will be 20 just like D1 vanilla. Tomorrow they will reveal a new pvp game mode. It is like an evolution of Elimination, but Elimination is not gone (don’t worry!). At the moment, crucible – all of it – is 4v4. Let’s talk about the weapons. Slot A is like Primary. It will work mostly the same as it does now. There will be no elemental weapons in this slot. Kinetic damage Auto, Pulse, Hand Cannon, and Scout. However, side arms will get moved into this slot and SMGs will be added. Slot B is identical to slot A, but the weapons are elemental. That means that you get two primaries in crucible and ammo is abundant for both. Slot C will be Rocket Launchers (with even less ammo, but larger explosions), Swords, fusions, snipers, shotguns, and…. a secret new weapon I don’t want to spoil (but was totally in the trailer)! HMGs are gone. “Heavy ammo” will have relatively short timers and many locations, but only drops for the person that picks it up. Of course, we’ve seen that Bungie can change this kind of thing with relative ease, so who knows how it will be at launch or a year from now. Abilities are a really big deal. You can expect to see each class have a new ability that exists for the whole class no matter what subclass. Each class gets 1 ability with 3 options. Hunters get Shadestep, Warlocks get something similar to the bubble, but it doesn’t offer a physical barrier, just the perk, and Titan’s get a “brace” which is kind of like cover they can create. Golden Gun, Voidwalker, Striker, Nightstalker, Stormcaller, and Sunbreaker will all return, though they will all see massive changes. Bladedancer is being replaced by a class that uses an arc bow staff. Sunsinger is being replaced by a class that uses a solar sword. Defender is being replaced by void Captain America. Trials of Osiris is gone. As it usually is with leaks, we have to take everything with a grain of salt until an official confirmation comes in. The gameplay reveal will happen in around two hours, so it won’t take long to finally learn more about Bungie’s next game.